Twenty-seven was a year. I say this because there are so many ways to describe it. It was fun, interesting, scary, enlightening, and overall one of the hardest years of my life. I decided to take this time to share some of my experiences and what I have learned from my 27th trip around the sun with all of you. Why am I now deciding to do such a personal post that has nothing to do with my main topic of conversation (its fashion if you haven't figured that out yet ;))? I am doing this because I have come to the realization that I have a platform to share my experiences and offer some advice. It is highly likely that many people will not actually care about what I have to say, but out of those people that do care, if I am able to help in any way and be someone they can relate to to feel less alone in this crazy world, than I want to try to be that person. Add in the fact that this is highly cathartic, and here we are with today's post! I bet you are wondering why I said that 27 was one of the hardest years I have endured. If you follow me on Instagram, and keep up with my blog, it can probably be hard to believe that there could be anything negative in my life. This is due to what I call the 'filtered' aspects of social media. Instagram, for example, is curated, and thus you tend to only see the good/exciting times, and none of the bad ones. There is absolutely nothing wrong with this whatsoever! 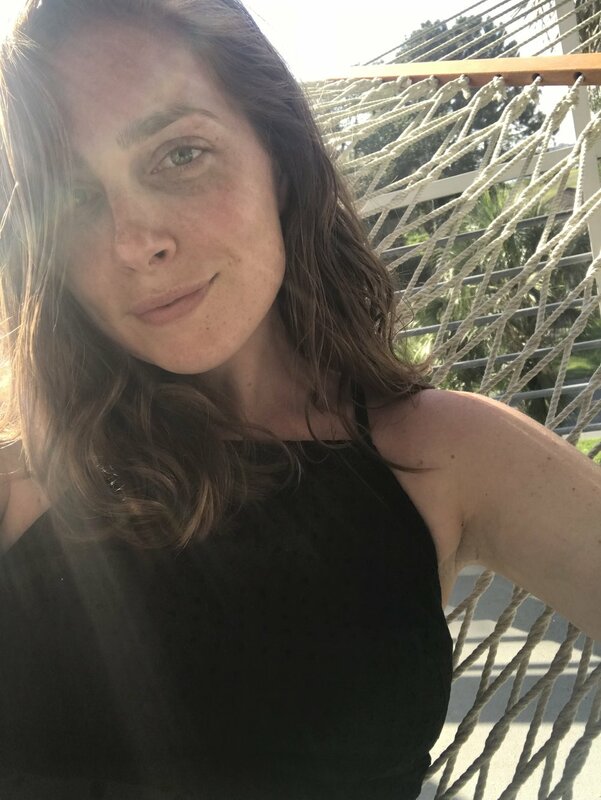 I do feel it is important to point it out though, which is why all of the pictures I added to this post are completely unfiltered (no makeup and no editing). You would actually be surprised how hard it was to find pictures of myself where I am not wearing any makeup. I had to dig through all my pictures from beach vacations! I say that this past year was a tough one mainly because there was A LOT of change. Friendships that I had had for years were tested and lost. One of my most significant romantic relationships came to an end. I moved to my fifth apartment in my six years of living in Boston, where I am now living completely on my own (hello adulthood and paying the full cable bill). I sold my car to become carless for the first time since getting my license at seventeen. I started a new job (ok, this was technically at twenty-six, but it was the last month of being twenty-six). As I said, there were a lot of big and significant changes. Overall though.....I survived. People often say that the most growth comes from the situations that make you the most uncomfortable. Let me tell you that twenty-seven was an uncomfortable year. Going into twenty-eight though, I feel like a much stronger person. I have a new appreciation for the friendships I do have, and for those people who have proven that they care about me as much as I do about them. I have learned more of what I do and what I absolutely do not want when it comes to relationships (both friendships and romantic relationships). I have been forced to step outside of my comfort zone and really put myself out there to meet new people. I am learning how to be ok with being alone (though this is very much still a work in progress). Twenty-seven was a year that challenged me, but it was also a year that enlightened me. I am looking forward to my twenty-eighth year with hope and a renewed sense of calm that I guess comes with this thing called age. I do not in any way have life figured out, and I probably won't for some time, maybe not ever. But that is all ok! If this past year has taught me anything, it is that life is unpredictable. It can be really hard, but it can also be amazing. One of the biggest lessons that I am taking away from this year, out of all the lessons I learned, is that life is what you make it. Waiting around for it to happen is one of the quickest ways to miss out on those things that can make life amazing. If you are wondering how to make things happen, fear not because I have created a list of challenges for all of you. These are all things that I have been working on myself and trying to implement. My hope is that some of you will do the same! - No plans for a Friday or Saturday night? Go to a bar and have a drink by yourself! Pro tip - sit at the bar and make friends with a bartender. If you are scared to do this, do what I did and bring a book with you! It is honestly a very easy way for someone to strike up a conversation with you. - Go to an event by yourself. And no, you do not have to be a blogger and get invited to events to make this happen! Is there a concert, or maybe even a charity event, that you are dying to go to, but you can’t find someone to go with? Then just go! Who says that you need a group of friends, or a significant other, to do the things that you want to do. And if you are really stuck, and truly don’t want to go by yourself then maybe you can try reaching out to someone new to go with you. I’m always down for new experiences if you ever need a plus one...just saying! The reason I am stressing doing something along these lines is because this is how I came to find an entirely new subset of friends! In my first few months as a blogger, I would go to events not knowing a single person, and it was terrifying! Now, I find it strange when I go to an event and don’t know the majority of the people there. Stepping outside my comfort zone allowed me to go and do the things I wanted to, and it led to me meeting some pretty great people! - Book that trip you’ve been dying to go on! And if you can’t find anyone to go with you, then do it solo :). Life is short, so what is stopping you from going to your dream destination? - Lastly, and somewhat in relation to creating a bucket list, I encourage you to actively think of ways to grow and make yourself the best version of yourself. What are your dreams? And what can you do to get even a little bit closer to making them a reality? So, to wrap up this post, I just wanted to say thank you to everyone who is a positive part of my life, and thank you even to those who may have brought some negativity. As I said, life is unpredictable and messy, but beautiful at the same time. I truly believe that every single person that has been in my life has been there for a reason, have taught me something important, and have shaped me into the person that I am today. As difficult as twenty-seven was, I would not change anything that happened because it brought me to where I am today. I am choosing from today on to focus on the positive and everything that I am lucky to have in this little life of mine! Let me know if you can at all relate to anything I might've mentioned in today's post! You can leave me a comment below, send me an email, or even call/text me (if you have my number). I am also very interested to know if there is anything you would add to my list of challenges, and I DEFINITELY want to know if you try any of them out for yourself!